A discerning collection of premium cigars, top-shelf spirits and unsurpassed customer service are the ingredients that make Blend Bar with Davidoff Cigars a success. As local, state and federal restrictions on smoking continue to sweep across the country, limiting where people may enjoy their cigars, tobacconists everywhere are transforming their stores from retail-only locations to smoking lounges where customers may purchase their favorite cigars and then enjoy them with other cigar enthusiasts. Some of these lounges are nothing more than a sofa or a few chairs donated by a customer to his or her favorite smoke shop. Others are cigar-smoking havens—plush oases where customers can escape the cares of today’s hectic life. Many among the latter variety are full-service luxury lounges that offer a selection of beer and wine, HD televisions and comfortable seating, such as Blend Bar with Davidoff Cigars, which first opened in Indianapolis in August 2013. 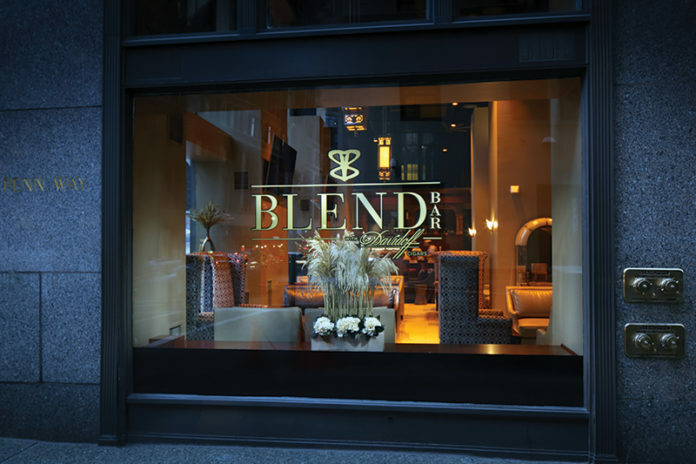 Blend’s unique combination of premium and super-premium cigars, high-end and sometimes rare or exclusive spirits and wine, and its food offerings has made the cigar bar a destination location. The concept has worked so well in Indianapolis that Blend has expanded to other markets—with locations now open in downtown Nashville, downtown Pittsburgh and in The Woodlands, a suburb north of Houston. 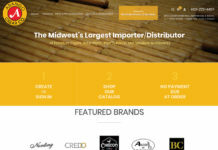 The combination has also drawn attention from within the cigar industry. 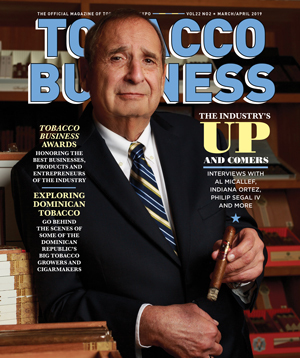 Blend has been featured in several cigar consumer and trade magazines. Last year, Cigar Journal announced Blend Bar with Davidoff Cigars as the world’s best cigar lounge at the InterTabac trade show in Dortmund, Germany. Jara Murphy, a longtime cigar retail professional, has joined Blend Bar with Davidoff Cigars as operations and marketing manager of the Houston location. In 2013, he entered a partnership with two Indy Cigar Bar customers, Kim Arbuckle and Mark Holden, to form CKM Entertainment, the parent company of Blend, with plans to open upscale cigar bars across the country and in Europe. Johnston closed Indy Cigar Bar in May 2013, and three months later the first Blend Bar opened in Indianapolis. In the first year of operation, Blend’s sales approached $2.6 million, proving that the model for Blend worked. In 2016, Blend added its Nashville and Pittsburgh locations. On Jan. 19 of this year, Blend’s fourth store opened in The Woodlands. While part of Blend’s success has been to cater to nonsmokers as much as smokers, about 50 percent of each store’s revenue comes from cigar sales. 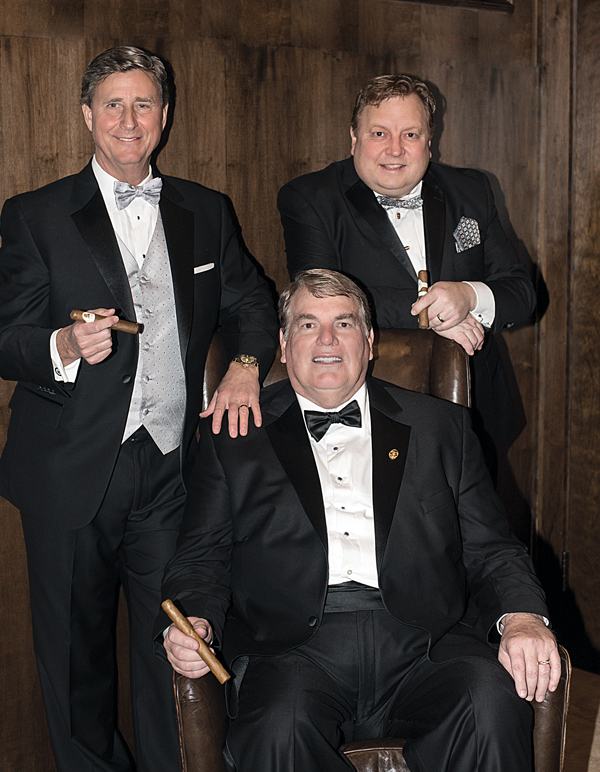 Blend’s growth has been helped by the relationships that Johnston, Arbuckle and Holden have created within the cigar industry. The most important special relationship that Blend has created has been with Davidoff. 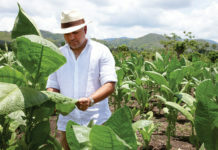 In October 2015, Blend and Davidoff entered into a strategic partnership in which Blend was renamed Blend Bar with Davidoff Cigars. Each Blend walk-in humidor shares the same look as the walk-in humidors at Davidoff of Geneva Since 1911 retail stores, but the partnership goes beyond that to include a marketing arrangement and access to exclusive cigars. If the plans of Johnston, Arbuckle and Holden remain firm, they will only increase Blend’s national presence. The trio hopes to open at least one new Blend store each year for the next five years, with locations in Washington, D.C., Philadelphia, Dallas-Fort Worth and along Florida’s Gulf Coast the most likely spots for Blend expansion.